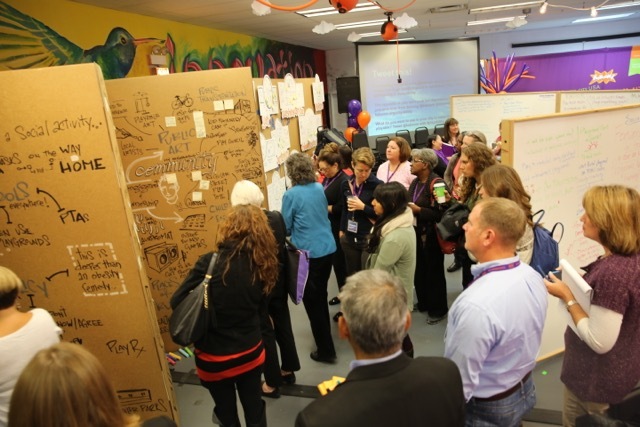 On October 23rd and 24th 2015, our member Mike Fleisch delivered a session in Chicago for KaBOOM!, the national non-profit organization dedicated to ensuring all children get the balance of active play they need to become healthy and successful adults. KaBOOM! 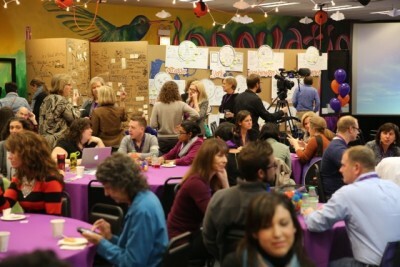 hosted its 2nd annual Playful City USA Leaders Summit, a program sponsored by Humana Foundation and created in 2007 to build a powerful network of cities committed to infrastructure investment, policies and programming according to the previously stated mission. 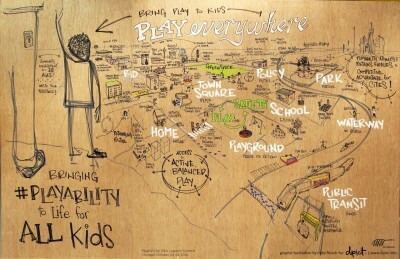 Only in 2013, 217 cities in 43 states earned Playful City USA recognition. The Summit brought together a selection of Playful City USA teams to: discuss and develop innovative and actionable solutions, foster collaboration and refine each team’s goals. Prior to the summit KaBOOM! worked with each team to facilitate the development of initial ideas: we therefore created team city boards (challenge/current state – big idea – bold goal/future state) from their prep documents, then added content and post-it feedbacks during their pitches. Each team took their boards back with them as a deliverable. Moreover, we used cardboard as work walls, iterating the feedbacks into an 8’ x 12′ playable city graphic on wood. 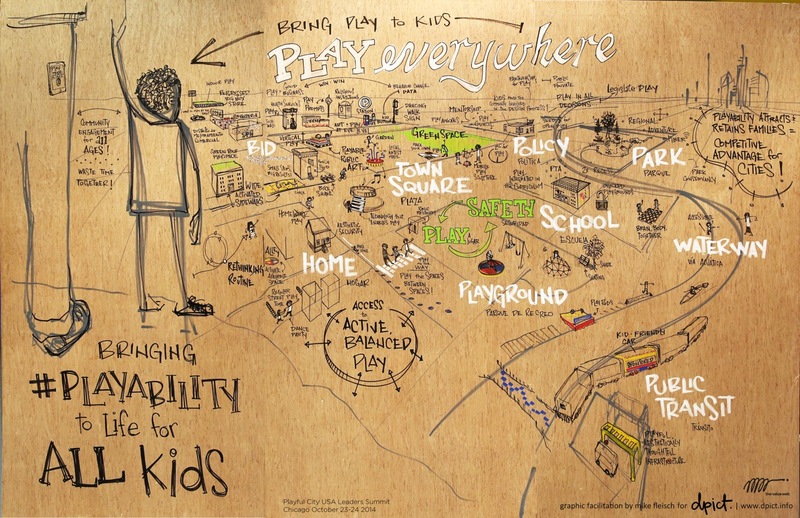 “By reclaiming public space for kids and families, and integrating play into their daily lives, Chicago and other leading cities are making it easier for kids to get the play they need and setting them on a healthy and successful path”, says Darell Hammond, Founder and CEO of KaBOOM!